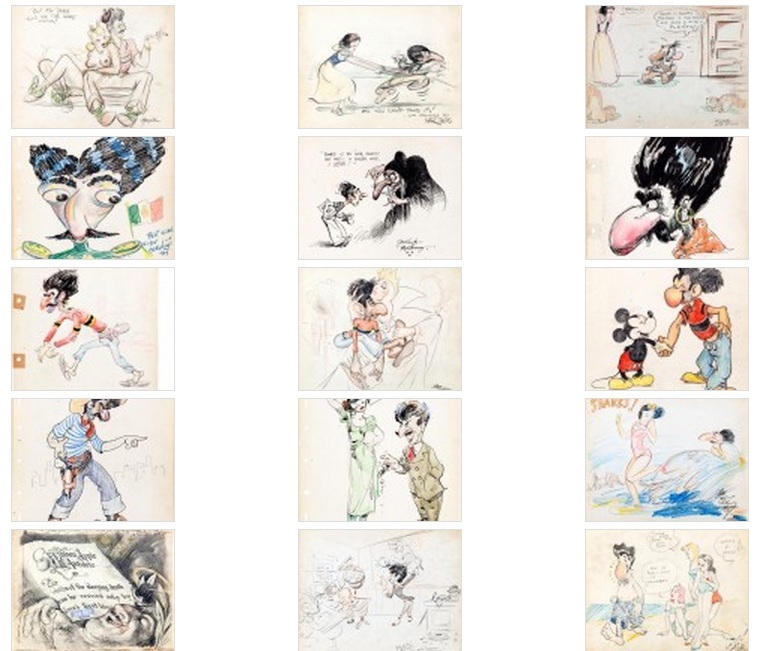 Italian-American artist Joe Magro was hired at Disney in 1936 during the studio’s expansion to produce Snow White and the Seven Dwarfs. Originally from Rochester, New York, Magro was attending Mechanics Institute (now Rochester Institute of Technology) when his teacher Fritz Trautmann suggested that he apply to the Disney studio. Magro left Disney in 1937 and returned to the East Coast. He apparently stayed long enough at the studio to make friends with the other artists. We know that because when Magro left, his Disney colleagues presented him with a “good luck” book filled with gag drawings. 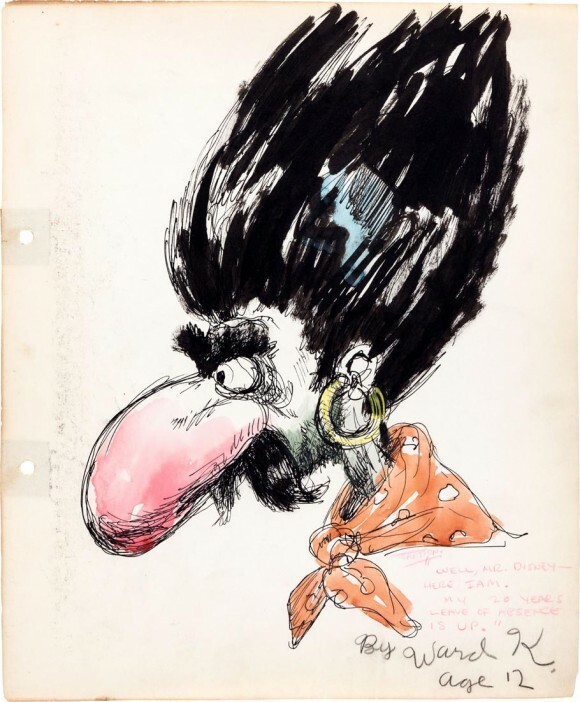 The drawings from that book are currently being auctioned by Heritage Auctions and include pieces by Fred Moore, Ward Kimball, Bill Tytla, Grim Natwick and Marc Davis, among others.